Dr. Jacey grew up on a farm just outside of Sterling, KS and received an undergraduate degree in Biology from Southwestern College in Winfield, KS while playing basketball and running cross-country and track. 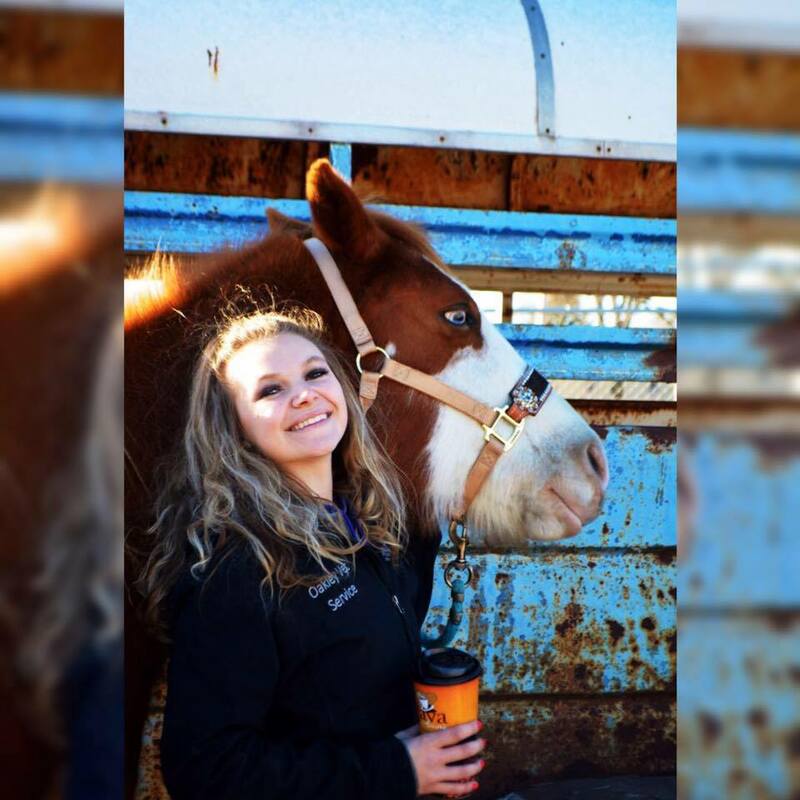 She is a 2017 graduate from Kansas State University College of Veterinary Medicine in. Dr. Jacey is married to Sam McDaniel, a native of Scott City, KS. They are the proud parents of Delaney Mae, born on October 2, 2018. Dr. Stacey started at Oakley Veterinary Service in October 2018 and continues to work part time. Dr. Stacey grew up in Stockton, Kansas. She earned her undergraduate degree at the University of Kansas in 2001, and her DVM from Kansas State University College of Veterinary Medicine in 2005. She worked in a small animal general practice first in Topeka, Kansas, then relocated to the Denver area where she continued in small animal general practice until 2012. She then started working full time as a small animal emergency veterinarian at a specialty and referral hospital in the Denver area. She also took courses to become certified in veterinary medical acupuncture, and practiced that modality at the same hospital. She and her husband returned to western Kansas in the summer of 2017. She continues to commute to Denver for ER shifts about one weekend a month. Dr. Stacey and her family live in Quinter, where she enjoys keeping up with the activities of their three children. Their home is full of action, with a teenager, a daughter in grade school, a preschool son, three dogs and two cats. DeAnn graduated from Golden Plains High School and then attended Colby Community College. She graduated from CCC in May of 1987 with an Associates of Applied Science degree in Veterinary Technology. In 1988 DeAnn started to work for Oakley Veterinary Service. Her work duties include both large and small animals. She lives on a farm outside Rexford, KS and enjoys spending time with her mother, sister and brother. DeAnn has a large assortment of farm pets that she enjoys. She is also involved with the Rexford Lion’s Club and Rexford Community Church. Painting ceramics, planting a garden each year and spending time with family and friends are some things she enjoys. Cassie was born and raised in Western Kansas. She grew up on a family farm where she first discovered her love for animals. Through those years she was active in 4-H and in the church. After graduating from High School in 2002 she attended Colby Community College. There she received her Associate of Applied Science degree in Veterinary Technology in 2005. She has been the Small Animal Technician at OVS since August 2005. Since working there she has been privileged to continually learn more about Veterinary Medicine every day. She enjoys living in the area with her husband Ben and their son Colten who they welcomed into the world in June 2012 and their newest edition, Clayton who was born in October 2014. They also have 2 dogs, Petey and Ace. Sara joined Oakley Veterinary Service in September of 2004. She is a native of Oakley and grew up on a farm just west of town where her family farmed and raised livestock. After graduation high school, she married Paul Van Eaton and had two children, Brandyn and Carli. She loves her job as it has broadened her knowledge of animals and gives her the opportunity to work with the public. Joyce joined Oakley Veterinary Service in January of 2009. She is a graduate of Grinnell High School and Dodge City Community College. Joyce worked at Pioneer, Inc. for 15 years and was the Clerk of the Board for USD #291 in Grinnell for 15 years before coming to OVS. She lives in Grinnell with her husband Rick and their dog Reeces, who also comes to work (whenever she feel like it). Joyce and Rick have three children; Shannon and her husband Justin Foster, Allison and her husband Joel Polifka; and Devin Baalman. She is the proud grandma of Jackson, Bryson, Cale, Karston, Alex and Emmitt. In her spare time she loves spending time with her family, reading a great book, or working on her bucket list! Family, the Royals, Chiefs and Jayhawks!! 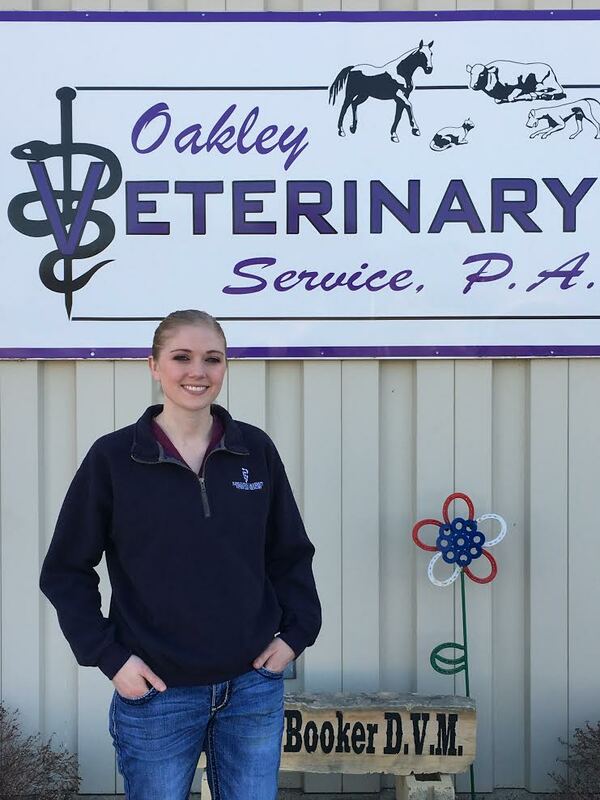 Daisy grew up in Colby, Kansas and joined the staff at Oakley Veterinary Service in 2011 and graduated from Oakley High School in 2015. Daisy is married to Craig Prewo and they are the proud parents of Camdyn and Carson. Daisy is now taking grooming appointments! Maddy is a student at Colby Community College and is currently our part time kennel help. Aliya Holzmeister is a student at Oakley High School and helps us with our kennel work.